For www.cabosanlucastransportation.net the customer is most important, we strive to develop a reservation system easy and safe to use do not waste your time on reservations and so much better to plan your vacation or business trips. In this field you must enter the name of the place where you want to go, the place can be a town, hotel or other destination, please select the hotel from the list, but is not on the list, please contact us. In this field you must enter the number of passengers. 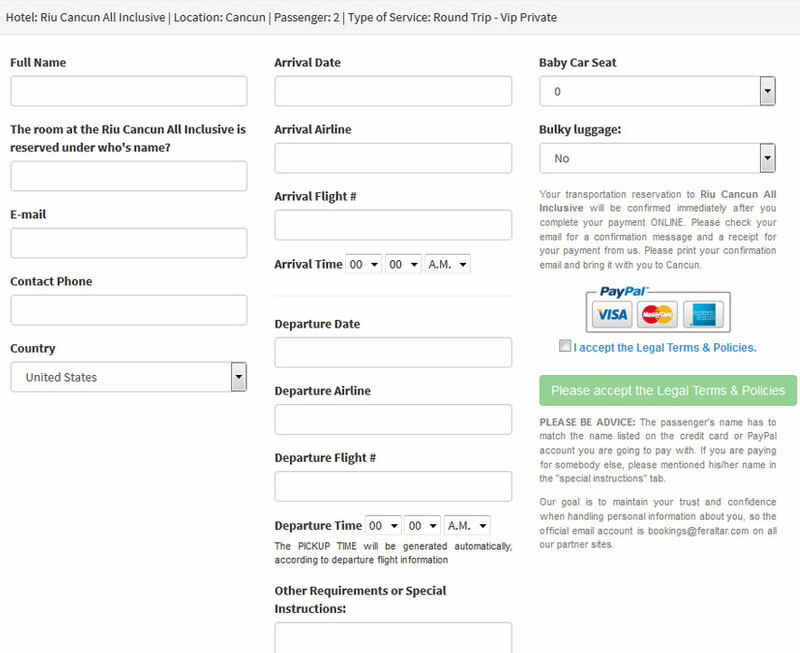 Remember that as of 10 passengers is considered as a group and to offer a better price for the number of people, please send your information to our contact form and in a few seconds the system let you know your quote. After entering all the data, you must press thes button "GET A QUOTE" to continue with the reservation. Service Description: Here you can see everything that includes each of our services. 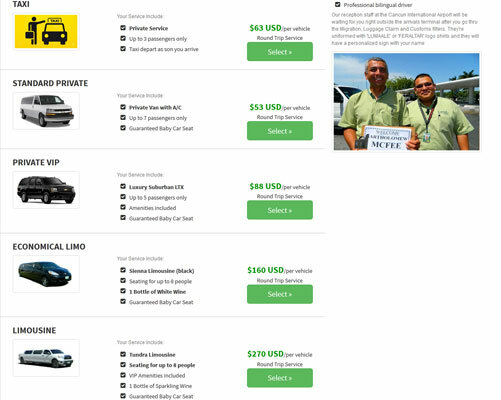 Price, shows the prices for the services, prices per vehicle not per person. Select button: This button allows you to continue with the next step, you just have to choose the service you need. Full Name: To whom will the reservation. Room: To whom is reserved the hotel room. Flight Information: This section should enter the dates of arrival and departure of your trip, in this case is "round trip", selecting "One Way" only be asked for information arrival or departure. Special Instructions: This section can describe any special instructions or indicate if you have a lot of luggage or you need car seat for babies or some special request.. Terms and conditions: You must accept the legal terms in order to make the reservation, after successfully completing the form is redirected to PayPal to make payment.